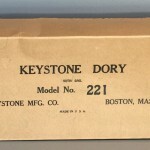 This is a Keystone Dory # 221. It measures 22″ x 6″ x 2.75 deep. 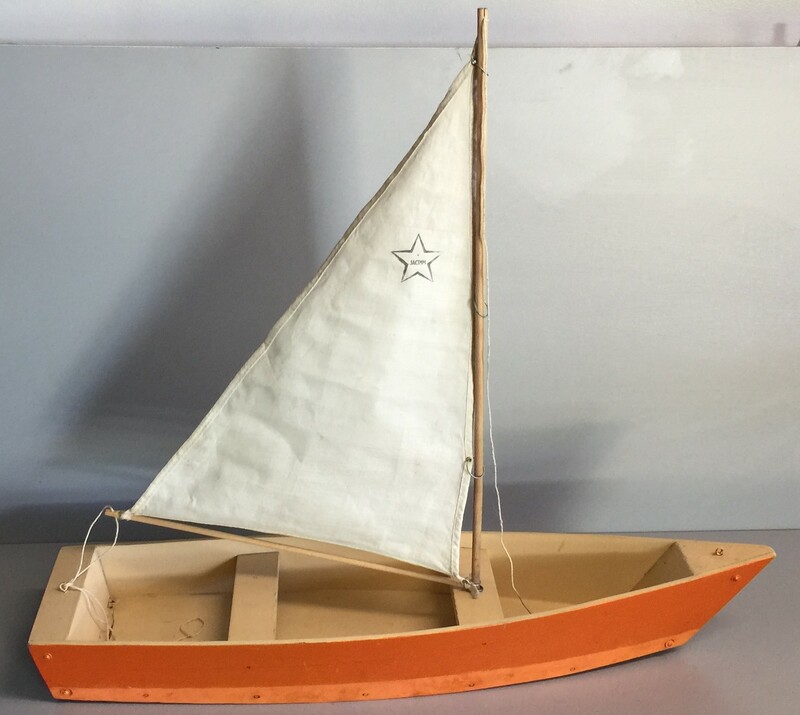 The mast is 19″ tall. 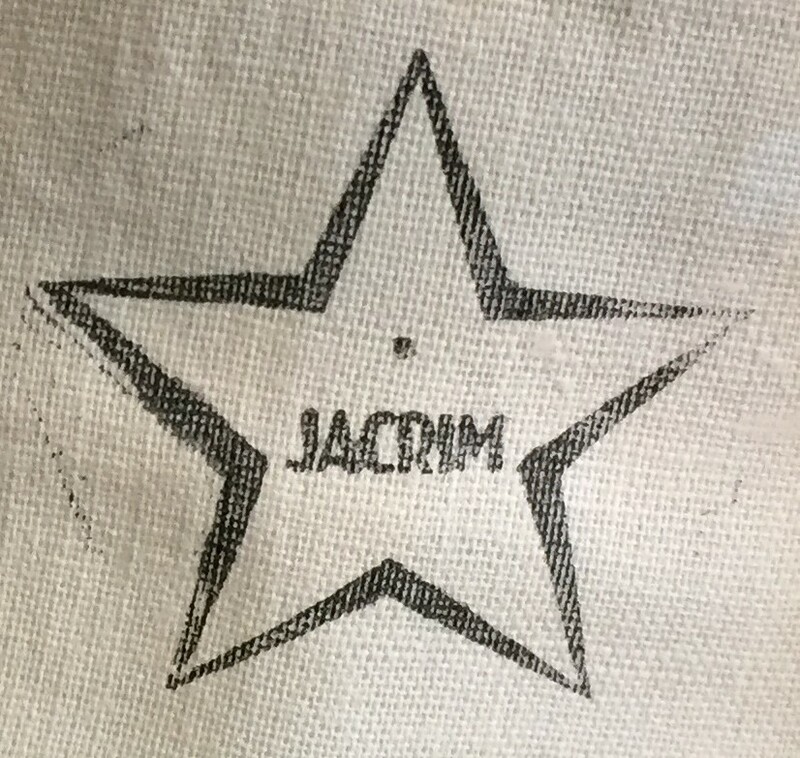 The sail is cloth with a stamped on Jacrim star. 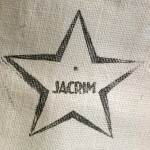 It is interesting to note that the sail is labeled Jacrim but the box is labeled Keystone. 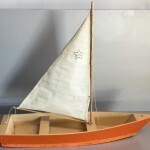 The dory appears in the Keystone 1933 and 1934 catalogs.